In September of 1759, great armies were on the move through the upper St. Lawrence Valley. Not the military forces under the command of Montcalm and Wolfe en-route to their climactic showdown on the Plains of Abraham, but an army of black bears migrating en-masse southward from Canada into Britain’s Atlantic colonies. During that autumn, newspapers from New England and New York recorded a southern migration of bears, accompanied by an equally mysterious appearance of thousands of black squirrels. Bears were reported in the city of Boston for the first time in a century—a large bear “the size of small cow” was shot on a Boston wharf as it swam across the harbor from Dorchester Neck. 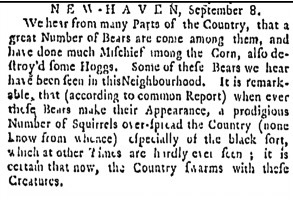 Bears were “spreading mischief” on colonial farms from the New England frontier to the lower Hudson Valley, devouring fields of “Indian corn” and destroying stocks of hogs, sheep, and calves. British army officers bemoaned frequent bear sightings near General Jeffery Amherst’s field headquarters on Lake Champlain. Newspapers printed lurid tales of a bear attacking and eating two children as they picked beans in a field in Brentwood, New Hampshire. One bear reportedly attacked a female colonist walking near her house, but only made off with the “hind part” of her gown. As much as these armies of marauding bears and squirrels vexed Anglo-American colonists, they provided a critical windfall for indigenous hunters residing beyond New England in the Canadian borderlands and the vast St. Lawrence watershed to the north. Documented “bear years” and “squirrel years” occurred in 1759 and 1796 and they can teach historians about the interplay of ecology and aboriginal treaty making following the British conquest of Canada. France’s former Native American allies pledged neutrality toward the British on the condition that British officials recognize their free mobility through ancestral territory and guaranteed perpetual access to hunting and fishing sites throughout the St. Lawrence watershed, as they did at the 1760 treaty of council at Oswegatchie. More than forty years later, the Jay Treaty of 1794 between the United States and Great Britain reaffirmed the upper St. Lawrence River as the official international boundary between the two countries while reaffirming the rights of indigenous people to freely traverse the new boundary. The latter agreement recognized “Indians” as an autonomous people, distinct from subjects of the British crown or citizens of the United States, and guaranteed their free mobility across the border. The international border between the United States and Canada distorted the interconnected ecosystems, which bears, squirrels, and their indigenous hunters traversed in order to survive. What Americans now call the “Adirondack” region in northern New York actually marks a southern extension of Quebec’s Laurentian Mountains, physiographic highlands linked through the St. Lawrence watershed. Crucial to the lucrative fur trade economies, indigenous peoples moved seasonally throughout the year, trading at mission villages along the rivers, gathering next at islands in the St. Lawrence to hunt and fish, and eventually into collectively managed hunting territories in the highlands or Canadian shield. Bear years and squirrel years were periodic windfalls for indigenous people, a recurring phenomenon possibly connected with the mast cycles of oak trees. Although United States and Britain affirmed Native mobility rights in the 1794 Jay Treaty largely to protect their own fur trading enterprises, the long term consequence was to permanently enshrine indigenous hunting and mobility rights in an emerging body of international law. In the autumn of 1796, six months after the Jay Treaty went into effect, the Irish traveler Isaac Weld and a dozen other men boarded a bateau at Montreal bound for the British outpost at Kingston, where the St. Lawrence River opens into Lake Ontario. As his party navigated the river’s treacherous rapids, a hulking black bear “boldly entered the river” directly in front of Weld’s boat. Weld’s companions opened fire, killing the bear as it swam from the riverbank to an island midstream. 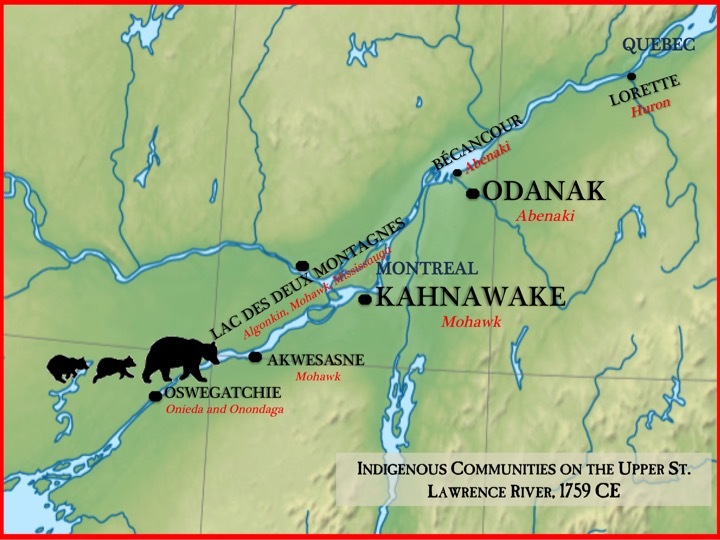 Such bear crossings were common along the hundred-mile stretch of river between Akwesasne Mohawk territory and Lake Ontario during what Weld’s companions described as a “bear year,” periods defined by heavy black bear migrations south from Canada. Weld commented on the hundreds of “River Indians” gathered to hunt the migrating bears and marvels at the beauty of the “numerous Indian hunting encampments on the different islands, with the smoke of their fires ‘rising up between the trees.’” Although the bears had no trouble swimming across the river, their slower speed rendered them vulnerable to native hunters on shore. Just like in 1759, Weld also described how an army of thousands of black squirrels crossed the river from the opposite direction, from the newly independent United States toward the newly established colony of Upper Canada. The bushy black rodents swarmed the riverbanks looking for a narrow point to cross the river, destroying as much as two-thirds of settlers’ crops in their path. Weld recorded that the squirrels “swam across in a great mass for three days,” using their tails to propel themselves across the water. Just as in 1759, Weld described a windfall for “River Indians” and an environmental catastrophe for Anglo-American settlers. Bear and squirrel migrations no longer occur along the St. Lawrence River, but the indigenous communities remain engaged in the transnational politics of environmental stewardship. Supreme Court rulings in the United States (Diablo v. McCandless, 1927; Karnuth v. United States, 1954) and Canada (R. v Sioui, 1990) affirm Native rights to free mobility across the international border and the right to access the hunting and fishing sites where their ancestors waited for the bears and squirrels to swim across the St. Lawrence River. Ongoing environmental policy disputes between indigenous peoples and the governments of the United States and Canada stretch back to the founding of both nations, but by following the trail of bears and squirrels, we can uncover an aboriginal history of the St. Lawrence valley that links the colonial past with a self-determined present. Loren Michael Mortimer is a PhD candidate in the History Department at the University of California, Davis with a designated emphasis in Native American Studies. A specialist in early American borderlands and Native American environmental history, his dissertation examines the evolution of the St. Lawrence River watershed from a pre-contact indigenous borderland into an international boundary between Canada and the United States. You can find him on Twitter @lmmortimer. “Boston.” Boston News-Letter, August 23, 1759; “Boston.” Post Boy & Advertiser, August 27, 1759; “Boston, August 27,” New Hampshire Gazette, August 31, 1759; “We hear from Brentwood, New Hampshire,” Boston Evening Post, September 9, 1759; “Boston, September 8,” Post Boy & Advertiser, September 17, 1759; “Boston, September 17,” New York Gazette, September 24, 1759; “New York, October 8,” New York Gazette, October 8, 1759; “Extract of a Letter from Crown Pointe dated September 28,” New York Gazette, October 8, 1759; “Albany, October 18,” Post Boy & Advertiser, October 22, 1759. For possible scientific explanations of mass squirrel migrations, see Vagn F Flyger, “The 1968 squirrel ‘migration’ in the eastern United States (Natural Resources Institute, University of Maryland, 1969), Robin W. Kimmerer, Braiding Sweetgrass: Indigenous Wisdom, Scientific Knowledge and the Teachings of Plants (Minneapolis, MN: Milkweed Editions, 2013) 14-15. For the Jay treaty, see Samuel Flagg Bemis, Jay’s Treaty: A study in commerce and diplomacy (New Haven: Yale University Press, 1965); “Enclosure: Points to be Considered in the Instructions to Mr. Jay, Envoy Extraordinary to G B, [23 April 1794], The Papers of Alexander Hamilton, vol. 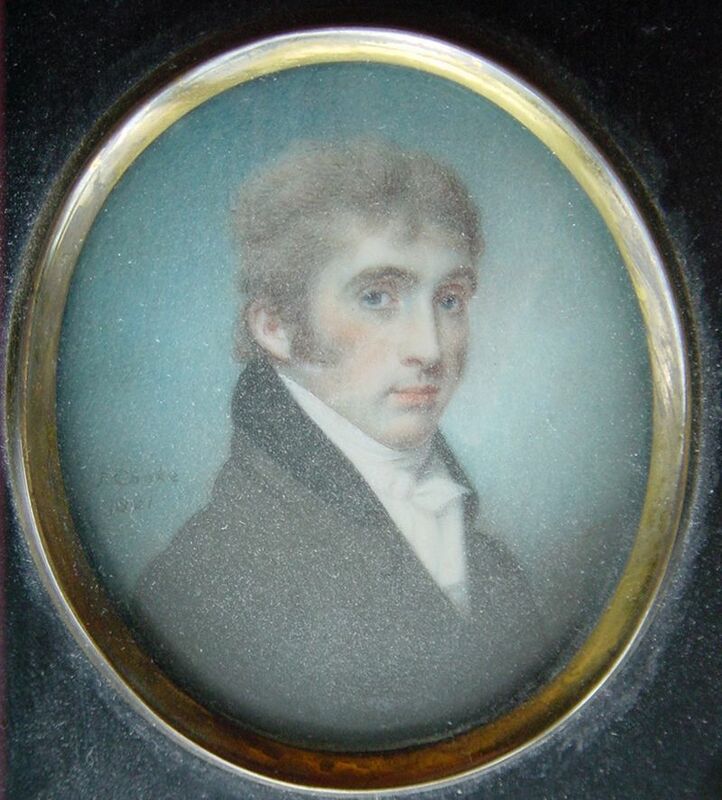 16, February 1794 – July 1794, ed. Harold C. Syrett (New York: Columbia University Press, 1972), 319–328. Isaac Weld, Travels through the states of North America, and the Provinces of Upper and Lower Canada, during the years 1795, 1796, and 1797 (London: Printed for John Stockdale, 1799), 270-72. What do you mean when you say that the bear and squirrel years provided a “critical windfall” for Native American peoples along the St. Lawrence watershed? Was this a “windfall” in terms of good hunting years for food and clothing? Did they experience extra profits by trading the furs? Literature describes the fur trade as being largely at a standstill during the French & Indian War because most Native American hunters served in the war as allied warriors. I wonder about a couple points. 1. If earlier work on the fur trade during the French and Indian War period is accurate, were Native communities able to take full advantage of the black bear migration? If so, what impact would this have had on the black bear population? 2. What did Native communities do with all the furs they collected in 1759? Normally they would have traded them at Albany or Montréal, but what did the wartime trade look like in practice? How did the large presence of the British and French military affect the trade? Thanks for the questions, Liz! My working hypothesis is that the 1759 hunts were largely for subsistence rather than commerce–although there is still considerable archival work left to do on this question. For example, family bands of Western Abenakis had already begun their seasonal migrations to winter hunting camps when Robert Rogers’s force of colonial rangers destroyed their village of Odanak on October 4, 1759. Chief Jean Louis Gill was away from the village hunting when the rangers captured his wife and sons, although I have no hard evidence that he was hunting bears or squirrels. Hunting represented a necessary and vital supplement agriculture in the Laurentian missions, as short growing seasons limited the land’s carrying capacity. Subsistence hunting was probably more critical during the war years, as women and children swelled the village populations during periods of conflict, placing more strain on the land’s limited carrying capacity. As to the net effects on the bear population, I am hesitant to speculate owing to the limited documentary evidence. However, given that Native communities collectively managed family hunting grounds and placed limits as to how many animals could be sustainably harvested in a particular season, we might reasonably speculate that Native hunters had minimal adverse effects on the bear population. While the New England newspapers recount a story of two teenage colonists bludgeoning bear cubs to death with sticks, I have not yet encountered any evidence that Native hunters harvested cubs in such a way that would have diminished the population. For the purposes of the story I am working to recover, I think it is reasonable to assume that only adult bears were strong enough to swim the against the currents in the St. Lawrence. As to the contours of the wartime fur trade, the economic data indicate that York Factory absorbed some of Albany’s trade during the war years. I cannot say with any certainty what became of the surplus pelts in any given village, but wartime raiding proved more lucrative than peacetime trading. In 1760, Wendats from Lorette arrived at General Murray’s camp with a “shopping list” of manufactured goods dictated by the women of the community. The men procured kettles in exchange for aiding the British in their concurrent conflict with the Cherokees. The war disrupted trade in the St. Lawrence, but created new trading opportunities on the continental interior.